Pomona (Mission and Garey) alongside the NAACP and other organizations. on important issues being faced by our diverse communities. 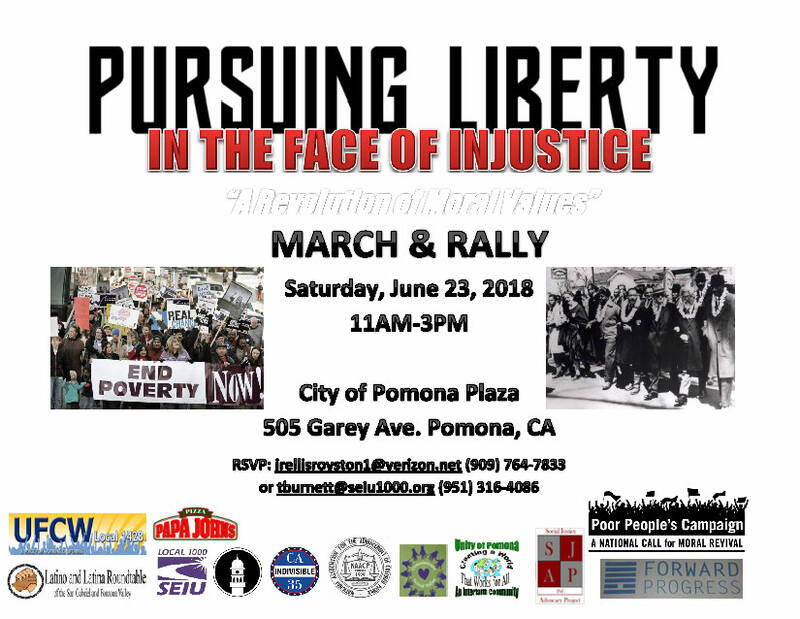 This entry was posted in Immigrant Rights, LLRT of San Gabriel, March Protest, News on June 21, 2018 by Jose Calderon. 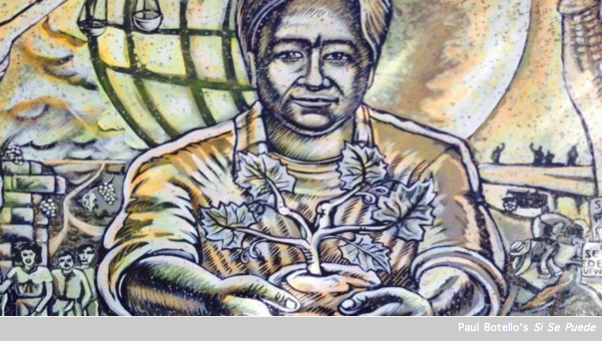 You are invited to the Latino and Latina Roundtable membership meeting this Saturday, June 9 beginning at 1 PM at our offices (the Solidarity Center) at the Village (1444 E. Holt Ave. in Pomona — Entrance #3 – Classroom 6). This is a membership meeting and we will have applications available for those who have not yet signed up or paid their dues this year. Since we will be taking votes on important issues, we urge you to become a member. 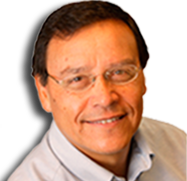 This entry was posted in LLRT of San Gabriel, News on June 6, 2018 by Jose Calderon. This entry was posted in Cesar Chavez, LLRT of San Gabriel, News on February 28, 2018 by Jose Calderon. Here is the link to the article that appeared today on the Latino and Latina Roundtable and NAACP Pomona Valley Branch Celebration, opening of joint office, and our common work. 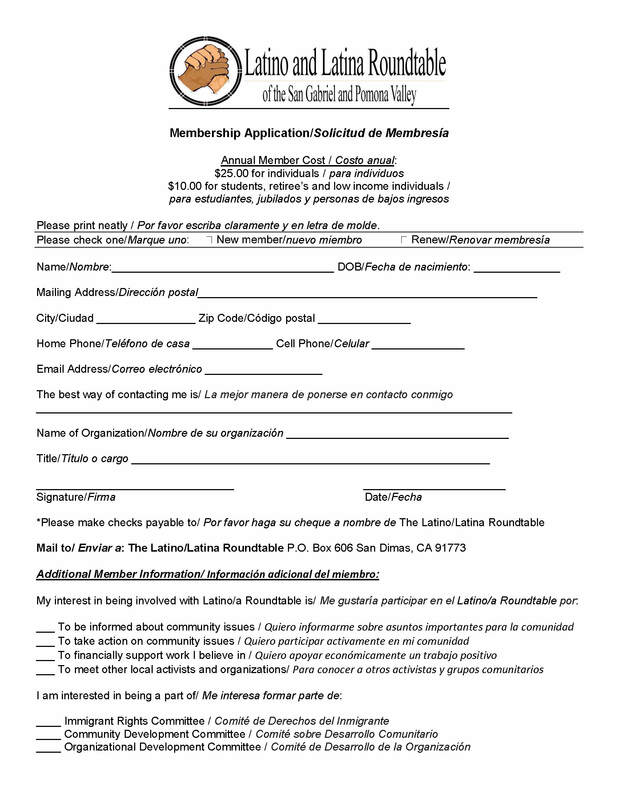 I would like to ask you, if you have not already, to become a member of the Latino and Latina Roundtable. Atttached is the membership application that you can send in. The membership dues for one year are $25.00 for individuals and $10.00 for students, retirees, and low income individuals. Your dues help to sustain our organizing and advocacy efforts. As you know, our organization has always been a volunteer organization that is primarily sustained through membership dues and a yearly fundraiser. Only until recently, have we rented an office and hired an executive director which bring forward new fundraising challenges. 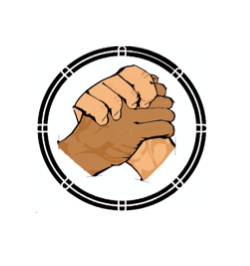 All the work of our organizational, community development, and immigrant rights committees are carried out by community-based organizers who have emerged out of the civil rights and human rights movements. We are continually motivated through our practice of an “abundance mentality” where we continue to see the outcomes of our efforts in training and developing new leaders in our communities. 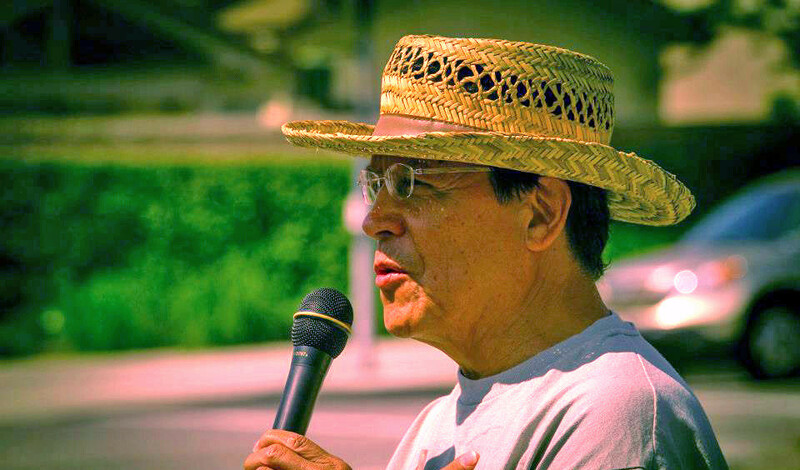 In supporting our organization through your membership, you are helping to sustain the inspiration and efforts of our members in organizing an annual Cesar Chavez breakfast and Pilgrimage march; in advancing our collaboration with area schools and colleges, as part of the College4All Coalition in implementing a school-to-college pipeline; in implementing educational forums and workshops on voter, ballot initiative, and immigrant rights; in advancing our efforts to support workers and unions in our region; and in ensuring our ongoing participation in numerous coalitions on social justice and quality of life issues. This entry was posted in LLRT of San Gabriel, News on February 21, 2018 by Jose Calderon. 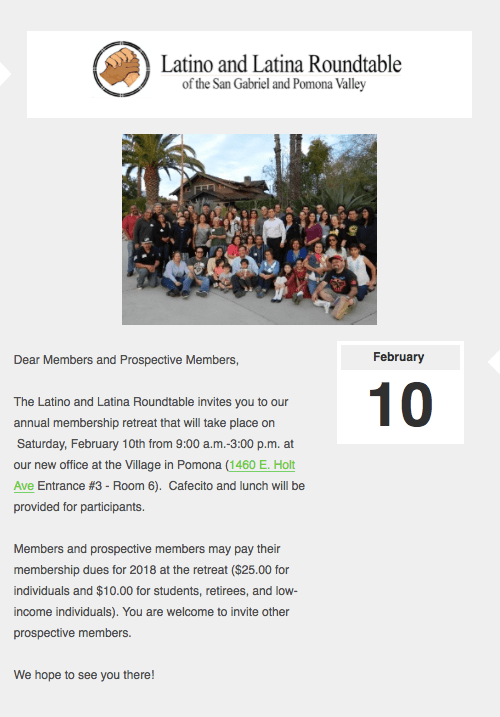 We are urging your support of our upcoming Latino and Latina Roundtable retreat by asking you to attend this most important meeting this Saturday, February 10 and also to invite others who might be interested in becoming members of our organization. Remember, the retreat begins at 9 A. M. and will be held in our new office at the Village in Pomona (1460 E. Holt Ave., Entrance #3, Room 6. This is your opportunity to help decide the priorities for the organization in the next year — and look forward to your participation. This entry was posted in LLRT of San Gabriel, News on February 7, 2018 by Jose Calderon. The Latino and Latina Roundtable invites you to it’s annual membership retreat. This entry was posted in LLRT of San Gabriel, News on February 1, 2018 by Jose Calderon.